Speakers with a true high-end sound combined with a unique and beautiful design and for a decent price for all hi-fi audio lovers: Mark`s goal was clearly a high one. The Danish born Australian engineer combined craftsmanship with product design and 20 years of experience. 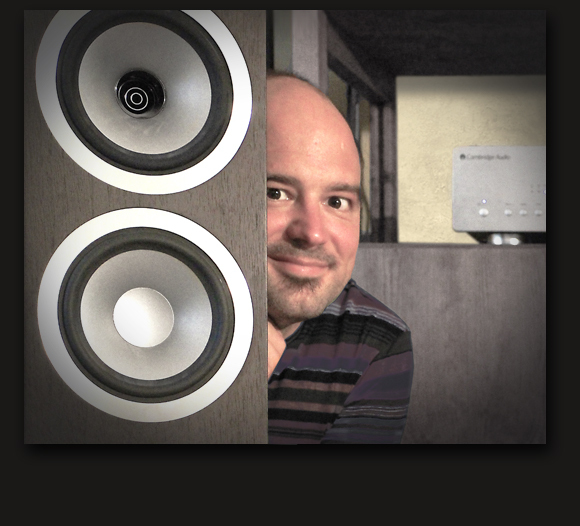 In 2016, he founded M8audio to produce some of the most amazing speakers available. Just two years later, in 2018, Mark was awarded “Best Newcomer 2018” at the Munich High-End, as well as at the Melbourne International hi-fi Show. If you’re listening to pop or house music, it is very likely that you already listened to one of Alan’s productions. Musicians of various styles enjoyed working with the good-humored mixing engineer from Germany whose second home is the US. 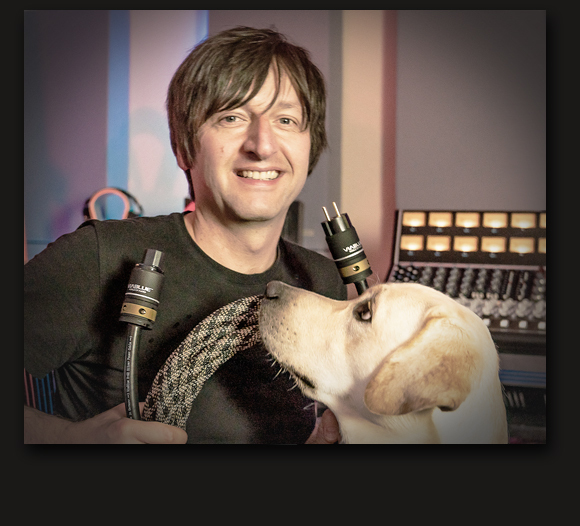 Alan started his own music productions 25 years ago. 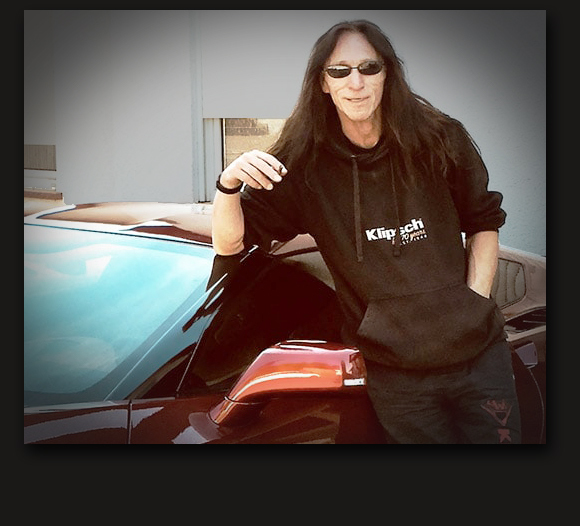 Today, he owns music studios in Germany and the USA. Alan’s training included guidance from Tom Elmhirst, Manny Marroquin and Tony Maserati. On our pictures, you can see him with his US-studio crew Tim Pierce, Kenny Aronoff and Marty O’Brien. If you close your eyes, you‘ll think it’s live! This was exactly what Mike had in mind when setting up his home entertainment system. Mike’s favorite tune these days comes from Pink Floyd. His second favorite sound is the roar of F1 racecars competing for championship. 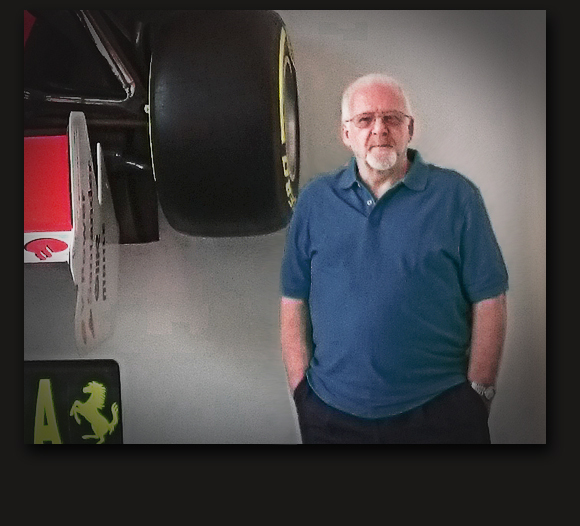 Just like at Formula 1, motorsport`s premium race series, Mike is always chasing the limit of acoustic possibilities. With his system based around the new Denon AVC X8500H, 15 loudspeakers and 2 SVS subwoofers, he surely gets the sound right. Adding the gasoline smell might be a challenge :-). True, it is rarely the case, but if something just does not sound right with the hi-fi systems of his clients, Werner hops in his Corvette Stingray and – literally – s p e e d s to rescue. He’s a master in setting up sound equipment. Customized of course. Even if you just want to try out speakers in your own living room – Werner will set you up without expecting any purchase. 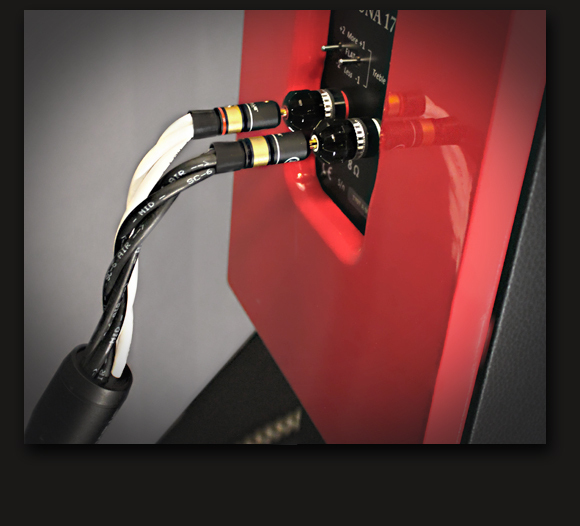 If you are seeking a special listening experience, check out his wares at his small castle in Elze/Germany: You’ll find systems of Klipsch, Aaron, Sovereign, Opera Audio and more – all connected with VIABLUE™ cables. Yes, it's that big: Song was excited when unpacking a VIABLUE™ SC-6 AIR Silver for the first time. He is the successful owner of Khmer Audio Video, a renowned hi-fi and audio shop in Pnom Penh, Cambodia. We love his handmade VIABLUE™ shelf to get a feeling for our cables and connectors. Thank you, Song! 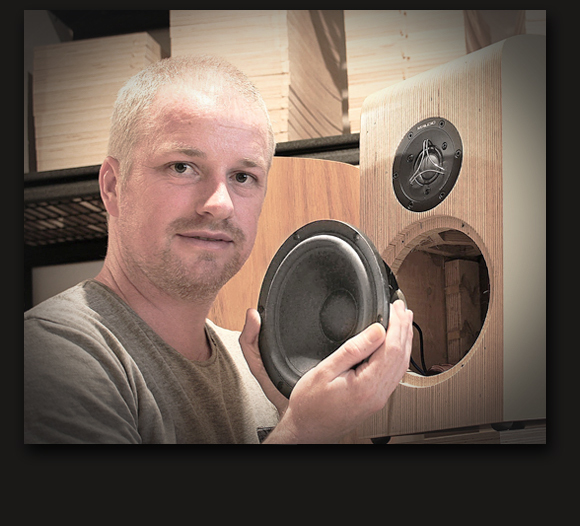 For many years Salvatore, living and working in Triest, Italy, built loudspeakers to find just the right sound. He then combined his findings with a unique design strongly reminding us of a roaring, but well defined Ferrari. 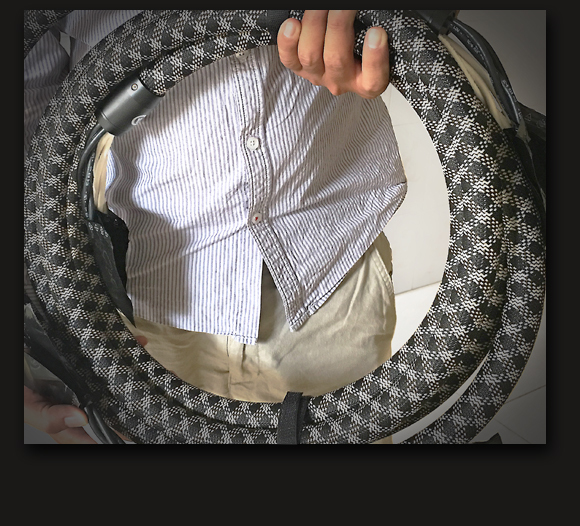 Finally, in 2016, Salvatore founded the speaker company ESSE Quadro. We are happy to present Salvatore's ESSE Quadro L'UNA 177 with the VIABLUE™ SC-6 AIR Silver. Perfection. Perfect. Pio is a very down to earth, grounded person. He is a kindergarten teacher, student and business consultant who helps clients to find solutions within themselves. As a dad of two kids, Pio enjoys making music with little people, as well as grown-ups and from all over the world. His sound system is equally grounded with a Cambridge Audio Azur 851a combined with beautiful Tannoy Revolution DC8T speakers. They too stand on a solid foundation. With silver QTC Spikes made by VIABLUE™.